Gas prices continue to rise, and although they remain lower per unit than electricity, they are far from cheap. Natural gas is the cleanest of the fossil fuels. It’s a highly efficient fuel, so you make a good return on every unit of energy supplied. Although prices have dropped in the last year, LPG prices are likely to remain relatively high compared to other fuels as the UK competes with growing demand from other countries. 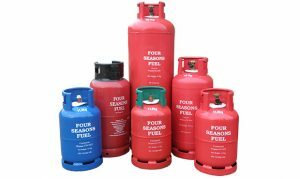 Liquid Petroleum Gas (LPG) canisters. Oil is still a popular choice for many homes, with over 1.5 million in the UK using it. Oil is usually used with a ‘wet’ heating system giving an economical and efficient tool that can supply you with reliable central heating, hot water and cooking. It’s worth noting that it is cheaper to buy a big tank of oil rather than to fill up smaller tanks throughout the year. The oil tank also needs to be adjacent to the home to fuel it efficiently and can be stored above ground or underground. There are two main types of domestic heating oil: kerosene and gas oil. Kerosene is more commonly used and represents better value as it is more efficient. This is reflected in kerosene prices so if you have a choice, opt for the latter. Oil has typically been a more expensive fuel, with sudden spikes caused by surges in demand, weather conditions and political unrest. Since 2014 the price fell – in January 2015 the price was 46p per litre and in January 2016 the price was 32p, however since then the price has rocketed and in January 2019 the average price in UK was 55p per litre – so from one of the cheaper ways to heat your home, it is now expensive. 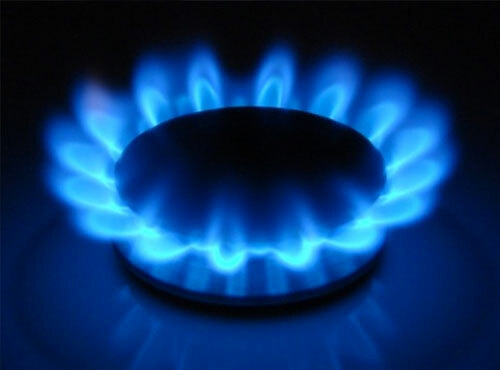 It is still one of the cheapest options in rural areas where there is no gas supply. Prices per litre can fluctuate.